Shoko Asahara, founder of the notorious Aum Shinrikyo doomsday cult, was executed in Japan on Friday with six of his followers for perpetrating a nerve gas attack on the Tokyo subway system in 1995, along with several other crimes. The executions were carried out by hanging, beginning with the leader himself, whose real name was Chizuo Matsumoto. Japanese media posted updates as each cult member was executed. Asahara, who was 63 years old at the time of his execution, has been on death row since 2004. 13 people were killed in the sarin gas attack and over 6,000 others injured. The cult was implicated in the deaths of 27 people, putting 13 of its members on death row. 191 members of the cult, which counted thousands of members at its peak, have been indicted for various offenses. Japan Times notes that executions are rare in Japan and carried out with extraordinary secrecy, although the public broadly supports the death penalty. Executions are carried out suddenly with little warning to the condemned or their families when the day arrives, following a conviction and appeals process that can stretch out for years, as it did with Asahara. Six other cultists remain on death row for the Tokyo subway attack. There have been reports that one of the executed followers was seeking a retrial. 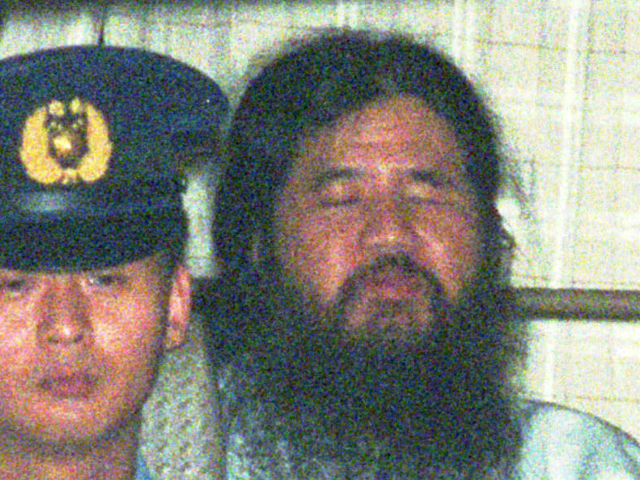 In addition to the sarin gas bombing, Asahara was convicted for the 1989 murder of the Sakamoto family. Lawyer Tsutsumi Sakamoto of Yokohama disappeared along with his wife and infant son after working on behalf of families attempting to recover their children from the doomsday cult. Following a tip from imprisoned cult members in 1995, police discovered Mr. Sakamoto’s buried remains after a widely televised search. The police believe the Sakamoto family was murdered in their home with a combination of drugs, strangulation, and hammer blows. Japan Times notes that before the infamous Tokyo subway attack, the cult carried out a sarin gas attack in Matsumoto that killed eight people and injured 600. Virtually every aspect of Aum Shinrikyo’s crimes and the prosecution has been the subject of deep controversy in Japan over the years. Security forces were criticized for allowing the gas attacks to happen. The police were accused of incompetence or going easy on the cult, either because they feared accusations of religious persecution or because they were afraid of what the cult might do in retaliation. Naturally, both Japanese and international opponents of the death penalty protested this week’s executions, while other Japanese say it took far too long to hang some of the most obvious monsters in their recent history. The Japanese government has been accused of seeking to kill off the Aum prisoners to tidy up before the 2020 Tokyo Olympics. The family members of some victims said on Friday they were disappointed the government did not give them advance warning of the executions. Some people argue that Aum Shinrikyo and spinoff cults remain dangerous, so its imprisoned members should be kept alive and grilled for information. The head of one spinoff cult, Fumihiro Joyu of Hikari no Wa (“The Circle of Rainbow Light”), apologized for the crimes of Aum Shinrikyo on Friday. A onetime teen heartthrob who served as Aum’s public relations manager, he gave assurances he is no longer linked to Aum or the dominant spinoff group he founded, which is known as Aleph. The nature of Aum Shinrikyo’s ideology, and how much of it migrated into spinoff groups after Japanese police smashed the parent organization, remains a topic of much interest. There are still thought to be about 2,000 active followers of Asahara’s teachings, not all of them based in Japan; a sizable splinter group exists in Russia, and in 2016 several dozen cultists were caught doing something vaguely sinister in Montenegro. Together the groups control millions of dollars in assets. Prior to the 1995 subway attack, Aum Shinrikyo was an astoundingly large movement, with tens of thousands of followers in Japan and Russia. Asahara himself did not provide as much information to the police as they would like; he had been a mumbling wreck in most of his court appearances. The history pieced together by investigators holds that Aum Shinrikyo, whose name means “Supreme Truth,” began as an eclectic mix of Buddhism, Hinduism, Christianity, mysticism, yoga, reincarnation, hallucinogenic drugs, science fiction, and doomsday prophecy. The core belief of the cult was that the United States would someday begin an apocalyptic world war by once again using weapons of mass destruction against Japan. Asahara’s novel twist on the strain of nuclear paranoia running through Japanese culture was that he predicted the apocalypse would be Japan’s fault, or at least that the only way to avoid it was to overthrow the Japanese government before it could do whatever enraged America enough to launch doomsday weapons against it. Asahara, who was blind in one eye, claimed to have developed Jedi-like magic powers, including the ability to see the future, and even visit it occasionally through time travel. He indisputably did develop horrendously effective brainwashing techniques that turned young recruits into mindless drones. 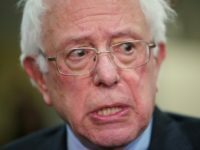 His group became large and powerful enough to make a run at Japanese politics and included a number of highly educated young professionals at its height, giving it the money, managerial skill, and technical know-how to run both an illegal drug ring and an electronics subsidiary. In the Nineties, they stunned the world by becoming the first non-state group to launch a chemical weapons attack, and they were working on biological weapons as well.